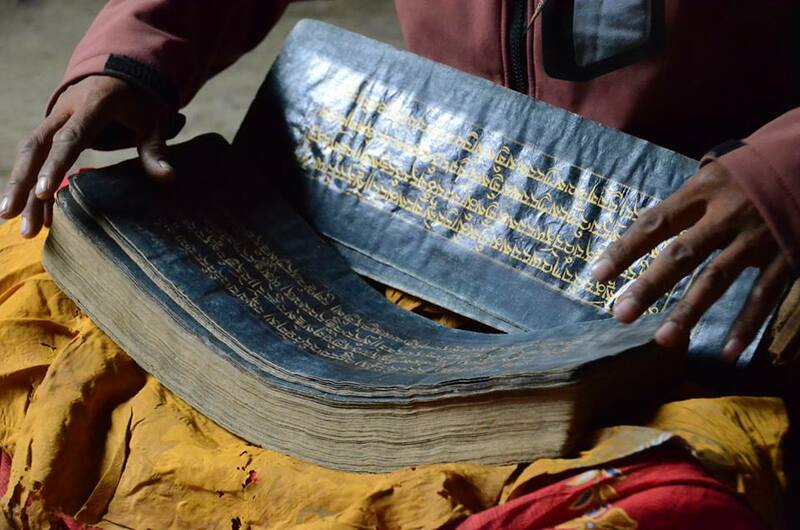 An old text from Dolpo, Nepal written in gold. Photo credit: Unknown. Posted on May 28, 2014, in Prayer and Ritual, Tibetan Culture & History, Uncategorized and tagged Nepal, religious texts, Tibetan culture, Tibetan history, Tibetan Texts, yungdrung bon. Bookmark the permalink. Leave a comment.